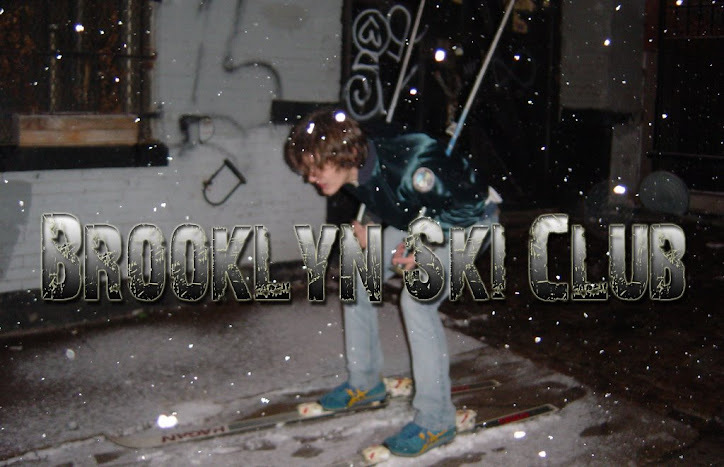 Brooklyn Ski Club: Evan James Springsteen. Yup, Son Of The Boss. Evan James Springsteen. Yup, Son Of The Boss. Evan James is the son of some old dude from New Jersey that wrote a bunch of songs about how he hates/loves New Jersey, or something. Young Springsteen seems to like writing songs about New Jersey too, or so one is led to believe based on the two songs posted to his MySpace page. The music is akin to early Bruce but maybe even more akin to Dylan. I actually like the song "New York City" a lot and the other one is decent enough. Actually, I think I like "New York City" more than any song by his old man, but I've never been a fan of that dude so that's not saying much really. Give this kid a listen. Vivian Girls Playing 285 Kent Tonight!